When ‘Ye announces there’s going to be a pop-up shop selling T.L.O.P. merchandise, the masses come flocking. To no one’s surprise, people have been lining up around the block, just waiting to get their hands on Kanye-approved minimal t-shirts and hoodies. 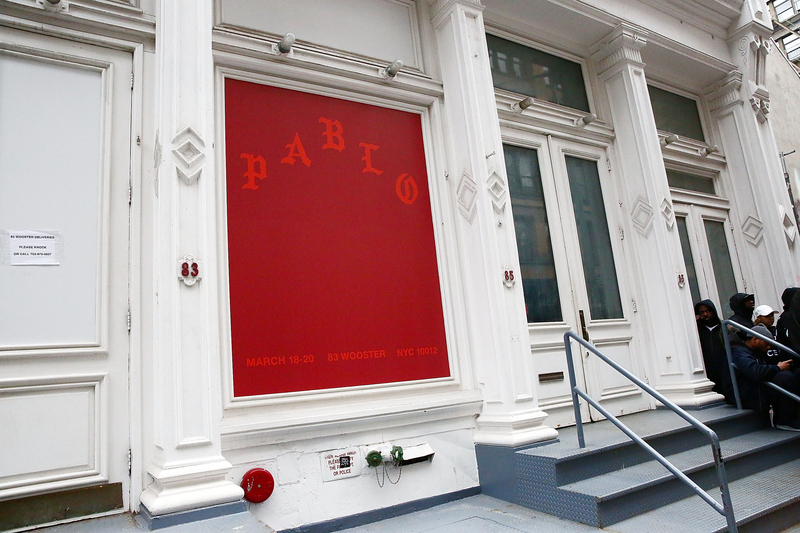 See the best Twitter reactions to Kanye West’s Pablo pop-up shop in New York City, because folks are not shy about their enthusiasm for the artist and his athleisure wear. Due to the long lines, there’s even been street closures because when West hosts something, his fans come running. And they shut. it. down. Based on the photos of the merch, it seems like the pop-up shop’s got a little bit of everything. So, it’s no wonder this has caused quite the chaos on Wooster Street in SoHo, because hats, jean jackets, and tees with a very Kanye-aesthetic are worth standing in line for, if you ask me. The pop-up shop is open through Mar. 20, so if you’re in the city this weekend — good for you! And if you’re not, who knows? Maybe he will be taking this thing across the country. You can never be too sure with Yeezy. No matter where to he goes, rest assured a crowd will follow. Will travel for Pablo merch. All in the name of Yeezy, you know? It doesn't get cooler than this denim jacket. OK, but then there's this hoodie. This person had the right idea. If you can't decide, just get one of everything. Forget having friends in high places, you need friends in NYC, specifically. Get some coffee, grab a book and settle in for a long wait. Who's ready to head to the city? You know, I'm just going to casually wait in line for hours. This is pretty much the only way to find out who your true friends are. One roundtrip ticket to NY, please. How about you send photos, and I'll tell you what I want. Deal? 9. Is Anyone Going To The Pop-Up Shop? In fact, everyone is going! If your friends don't want to go to the pop-up shop, you're hanging with the wrong crowd, IMO. Making it through a line this long takes major dedication. You've got to weigh your priorities. So, maybe standing in line at the pop-up shop isn't for everyone. It's just for mostly everyone. Until the crowds die down, folks will be there, just singing T.L.O.P. tracks and waiting.